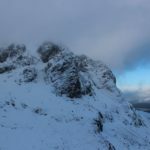 A dispute over the deployment of search and rescue helicopters on Scottish mountains is now ‘going in the right direction’, according to the leader of Lochaber Mountain Rescue Team (LMRT), after four mountain rescue teams publicly slammed the current contract last week. The independent mountain rescue teams (IMRT) of Lochaber, Glencoe, Cairngorm and Tayside released a damning statement last Friday which claimed the current contract for search and rescue helicopters is not fit for purpose and is putting the lives of casualties and volunteers at risk. 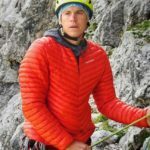 The IMRT criticised the involvement of rescue helicopter operators, such as the Maritime and Coastguard Agency (MCA) and the Aeronautical Rescue Coordination Centre (ARCC), and claimed that there is an unwillingness from these agencies to assist with the recovery of bodies and movement of volunteers off the mountain. 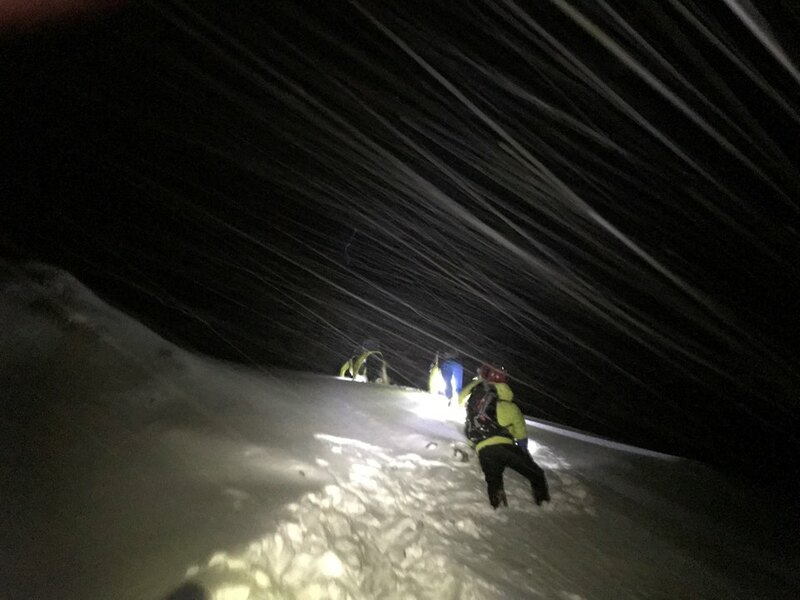 As a result, volunteers are often made to undertake long, technical and difficult recoveries off mountains completely unassisted – a situation which was described as ‘wholly unacceptable’. 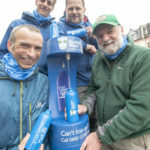 Speaking to the Lochaber Times this week, LMRT team leader John Stevenson hailed the public’s ‘fantastic response’ to the rallying call and feels that progress has already been made. ‘I think we have had some positive moves forward and people are starting to talk and that’s what we were looking for. We want to get the contract reviewed as it’s certainly not fit for purpose. I think it’s going in the right direction and we’re getting some dialogue. In response to the IMRT’s criticisms, the MCA said that although the recovery of bodies positively confirmed as deceased is not strictly speaking a search and rescue mission, it may support the recovery of those who have died whenever possible if the risk was not considered to be too great. It also said that such decisions also involve the Police Scotland duty officer, the ARCC duty officer and duty crew. However, Mr Stevenson feels that too often mountain rescue volunteers ‘keep getting lumped’ with the bulk of the work in rescue operations. ‘We have had a fantastic response and it’s just because people see that it’s the volunteers that are getting lumped with it,’ he continued. In another statement published on Sunday evening, the IMRT said that the four teams have been ‘overwhelmed and humbled’ by the level of support from the public and attempts are now being made to resolve the issues. Superintendent Carol McGuire from Police Scotland’s operational support confirmed that Police Scotland is in ongoing dialogue with the IMRT and all partner agencies in an effort to reach a mutually agreeable solution. In the wake of the dispute, Highlands and Islands Labour MSP Rhoda Grant lodged a First Minister’s question today (Thursday November 8) asking the Scottish Government what support it plans to give to the teams. She said: ‘I was totally shocked by claims that agencies, such as the search and rescue helicopter, were refusing to assist teams with the recovery of bodies of people killed on the mountains and also that there have been instances where volunteers have put themselves at risk managing a body down a narrow gully whilst an aircraft was instructed to standby.